After writing stories for the past thirty years, I figured it was about time to publish a few of them. 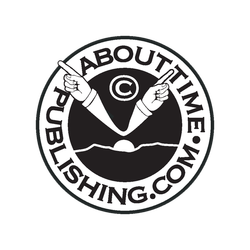 Thus the name and in 2007 we registered About Time Publishing with the state of Oregon as a subsidary of Judeco. Even though I started my own label mainly to publish my own works, there are a few writers that use my layout and formatting services to produce their work. I am proficient at optimizing color images and can convert almost any file to a printable Adobe PDF. All of my projects are custom engineered to print on state-of-the-art digital presses. I can produce small quantities of books and bind them using unique materials not available in the mass market. I like things that are unique and out of the ordinary. I like swashing streaks of colors, and exotic papers and imaginative materials for covers. I like things that are crafted by hand. I am a creative individual. 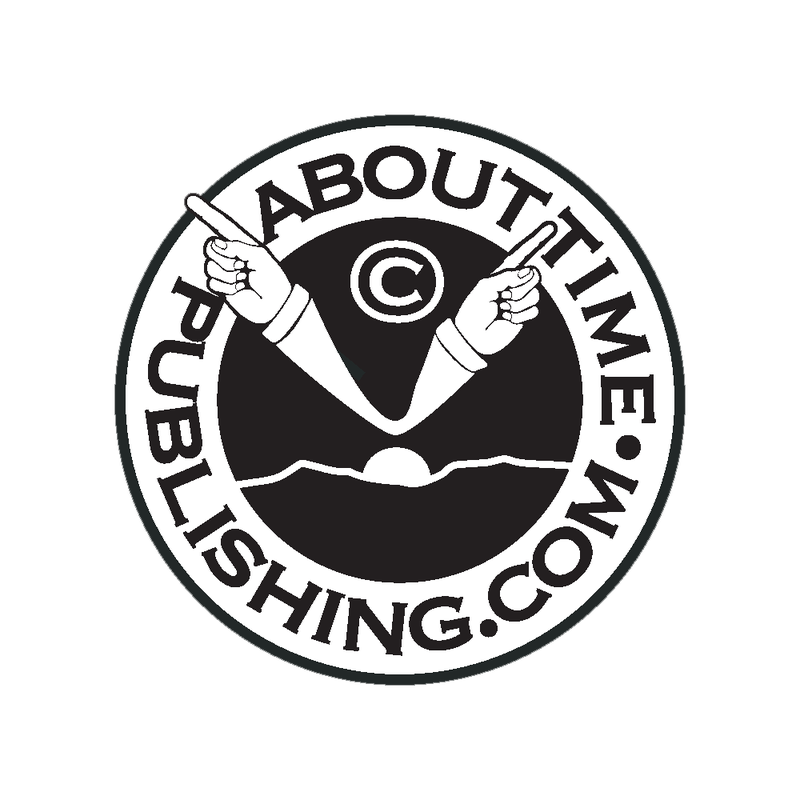 About Time Publishing was originally conceived as a way to passively make my writings available to others. I didn't want to jump on the publishing bandwagon to market my books, mainly for selfish reasons. I felt like after all my effort to bring an idea from concept to reality, I shouldn't have to share in whatever profits may arise. Not that I am greedy, it's just that the traditional publishing model had no appeal. I didn't want to try and mold myself to fit their idea of what a writer should be. The idea of public book signings and travels to big cities to peddle my books left me cold. I didn't want to do that stuff! I wanted to write, to create, to express myself in ways that maybe didn't fit the normal paths to traditional publishing. My efforts have always been focused on the production of uniquely crafted products, and not upon distribution. It seems to me that the real key to marketing an artist's work lies not in distribution, but in building a following and ultimately a demand for their work. Distribution will take care of itself as demand grows. Promotion is the responsibility of the artist, and no agency or representative can do it as well as the artists themselves. In order to sell your work you have to treat it like a business! You have to go out there and be heard and recognized by those folks with the funds to support your cause. Further you must induce them to buy your work. Once the demand is there, the artists and their work can be found with any search engine on the internet. All they really need is a reasonable presence on the web. My own works carry no ISBN and no Library of Congress catalog number. You won't find them on Amazon or at Barnes and Noble. They are available exclusively here on my website and no other place. No frills, no add-ons, no extra charges. I do, however occasionally post works from other writers and artists. These folks may have a different concept of what their business model should be. Their work may be available through other sources as well. I welcome out of the ordinary projects. I create books of all kinds. I can design, edit, format and print books, as well as bind books in almost any style. I will happily discuss and help to plan special projects involving graphics, layout, photo scanning and retouching, and any other print or publishing aspect to assist writers and artists in promoting their ideas.